I get all sorts of search terms about the Calvin and Hobbes comic strip. A series I did in 2008 entitled The Theology of Calvin and Hobbes still gets all sorts of traffic. Recently, search terms looking for "calvin's babysitter" linked to one the final posts in that series which is also a personal favorite. From a theological vantage, my favorite Calvin and Hobbes strips come from a storyline that Bill Watterson gives us in September of 1995. Calvin and Hobbes comes to an end in December in '95 and in the waning months of the strip we get a two week storyline, ten daily strips in all, devoted to the relationship between Calvin and his evil babysitter Rosalyn. And with that, we say goodbye to Rosalyn. These strips were her swansong. Calvin and Hobbes would end forever three months later. Theologically, then, what are we to make of the final Rosalyn strips? As I've described it, Calvinball represents a trusting, non-competitive, relational space. Without rules Calvinball can only be played in a context of trust and mutuality. Thus, only friends can successfully play Calvinball together. 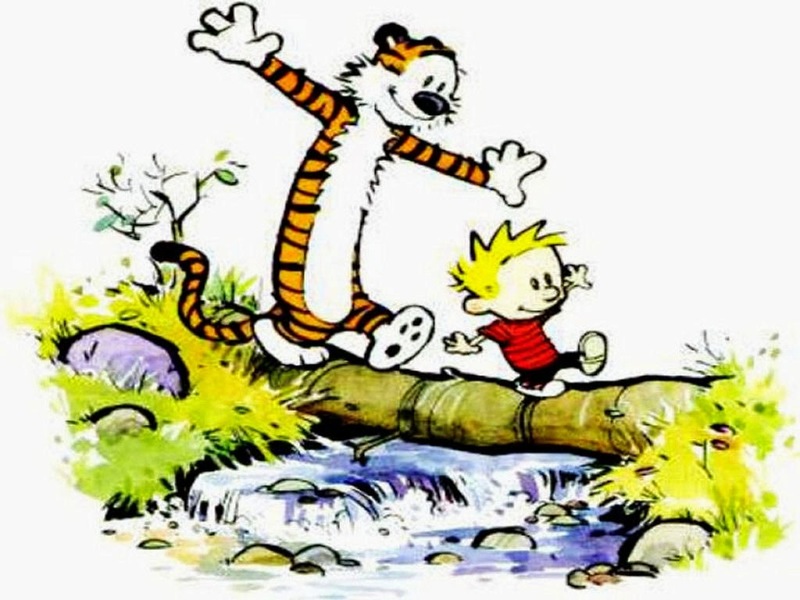 This is why Calvinball is the game of choice between Calvin and Hobbes. So here in the final Rosalyn strips Watterson shows us Rosalyn, the personification of rules, entering into the ruleless world of Calvinball. And by entering the relational world of Calvinball Rosalyn, and her relationship with Calvin, is transformed. This satan-figure becomes a friend. Rosalyn's distrustful and hierarchical application of power is replaced with mutuality, spontaneity and trust. Rosalyn is saved by Calvinball. I like to think that Calvinball is a metaphor for church. A place where hierarchy is replaced by mutuality. Where rigidity is replaced by creative spontaneity. Where rules are replaced by relationship and trust. Where coercive power is replaced with the messy anarchy of friendship. "You see how people lord over each other in the world," Jesus said, "It shall not be like that with you." And I like to see that place as being the workshop of our salvation. A place where lording over is replaced by loving service, where the last in the world become first, where the least become the greatest. A place, as with Rosalyn, where love begins to slowly unwind us, gently healing how we've been demonically formed and malformed by power and distrust. Wow, not church as I have ever experienced it. I hope you know you have found something really special there. Beautiful thoughts Richard! Love this!